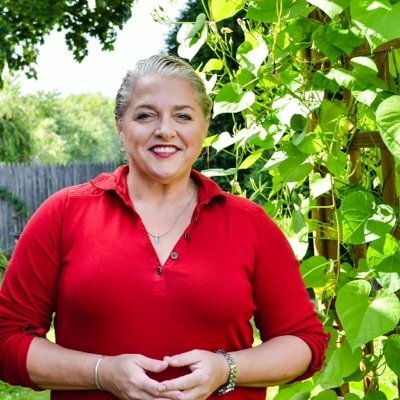 Southern chef, cookbook author, award-winning food writer, and blogger Virginia Willis is one of the most popular and respected voices on Southern food and cooking. She is the author of Bon Appétit, Y’all; Basic to Brilliant, Y’all; Okra; and Grits. 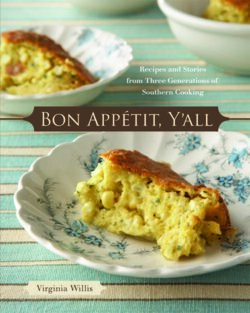 Her latest work, Lighten Up, Y’all celebrates the healthy and wholesome side of Southern fare. Virginia Willis has cooked Lapin Normandie with Julia Child, prepared lunch for President Clinton, and catered a bowling party for Jane Fonda. She began her culinary career tossing pizzas in college, has since foraged for wild herbs in the Alps, made mustard in Dijon, and harvested capers in the shadow of a smoldering volcano in Sicily, but it all started in her grandmother’s country kitchen.As a popular Southern food authority and writer, she is the author of Bon Appétit, Y’all and Basic to Brilliant, Y’all, Okra: A SAVOR THE SOUTH® cookbook, and Grits by Shortstack Editions. 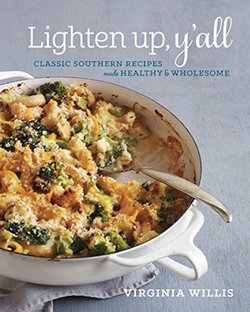 Her latest work, Lighten Up, Y’all, due in stores March 2015, celebrates the healthy and wholesome side of Southern fare.She is also a regular blogger for FoodNetwork.com, as well as her own popular blog, that was tagged as a favorite by Saveur magazine. Named by the Chicago Tribune as one of “Seven Food Writers You Need to Know,” her fans love her knack for giving classic French dishes a down-home comfort feel and reimagining Southern favorites. A graduate of L’Academie de Cuisine and Ecole de Cuisine LaVarenne, her first job in a professional kitchen was as an apprentice for Nathalie Dupree’s TV cooking show on PBS. Willis has subsequently worked on over 1000 TV episodes, as Kitchen Director for Martha Stewart and Bobby Flay, as well as Producer of Epicurious on The Discovery Channel and Home Plate for Turner Studios. She has been featured in USA Today, Country Living, and House Beautiful as well as Food52 and CNN.com. She is a contributing editor to Southern Living and her writing has been published in Family Fun, Fine Cooking, All Recipes, and Taste of the South. She has appeared on Fox and Friends, Martha Stewart Living Television, Paula Deen’s Best Dishes, Thrown Down with Bobby Flay, and on Food Network’s Chopped.Virginia is on the Monterey Bay Aquarium Seafood Watch Blue Ribbon Task Force and the Atlanta Community Food Bank Advisory Board. She is a past president of the Atlanta chapter of Les Dames d’Escoffier, a member of Georgia Organics, Chef’s Collaborative, the International Association of Culinary Professionals, and Southern Foodways Alliance. We can’t thank Virginia Willis enough for giving us her time and expertise for our ‘Feast Here Tonight’ Exhibit Opening Weekend.